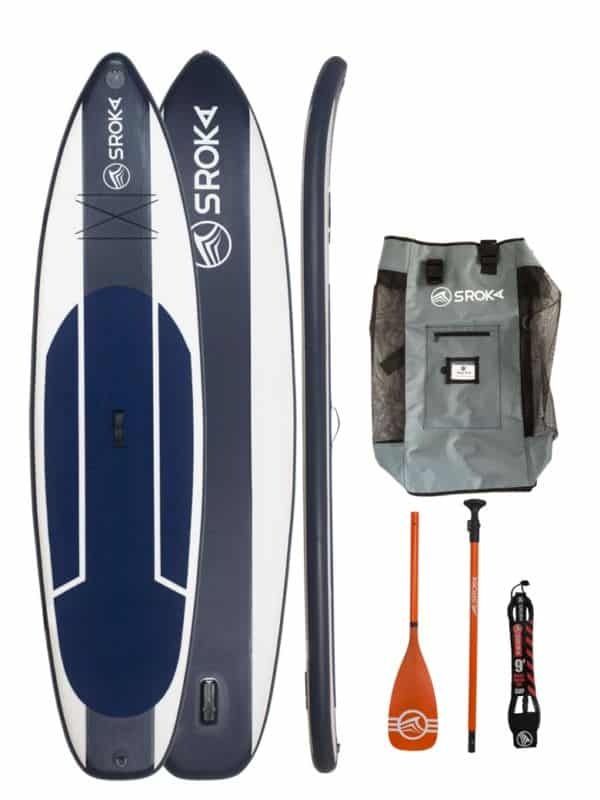 This Malibu 10’6 fusion inflatable paddle is perfectly adapted for family outings. 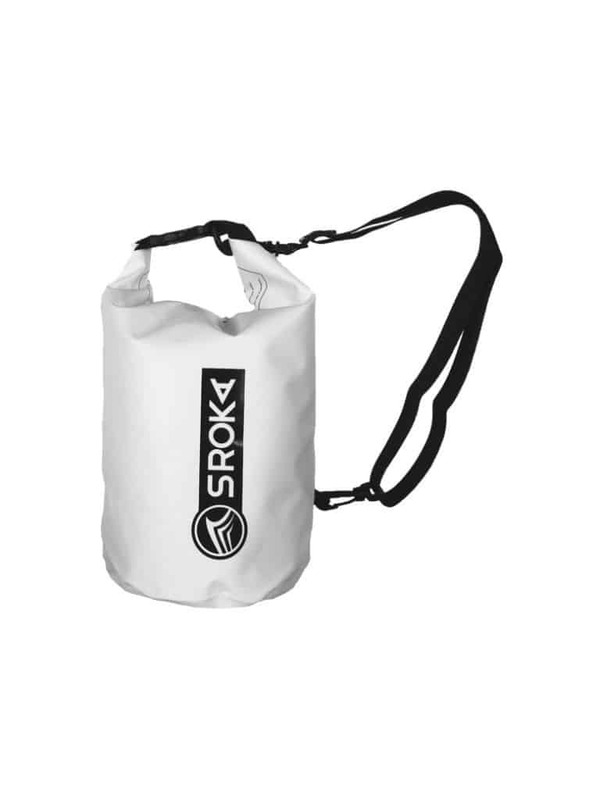 Ideal for beginners and/or family practice. 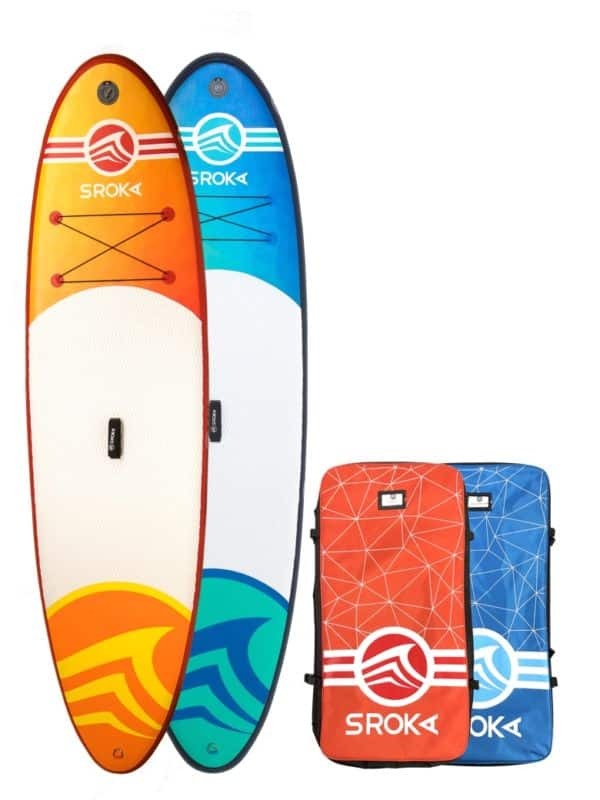 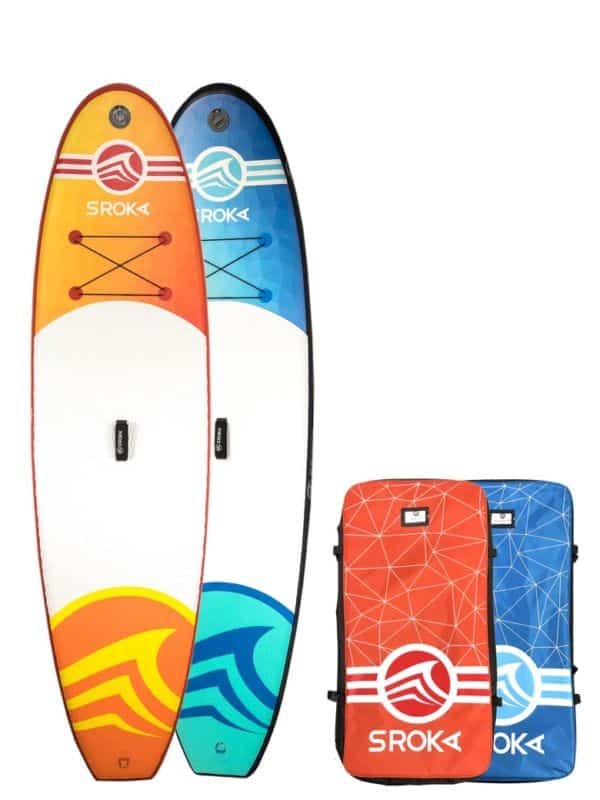 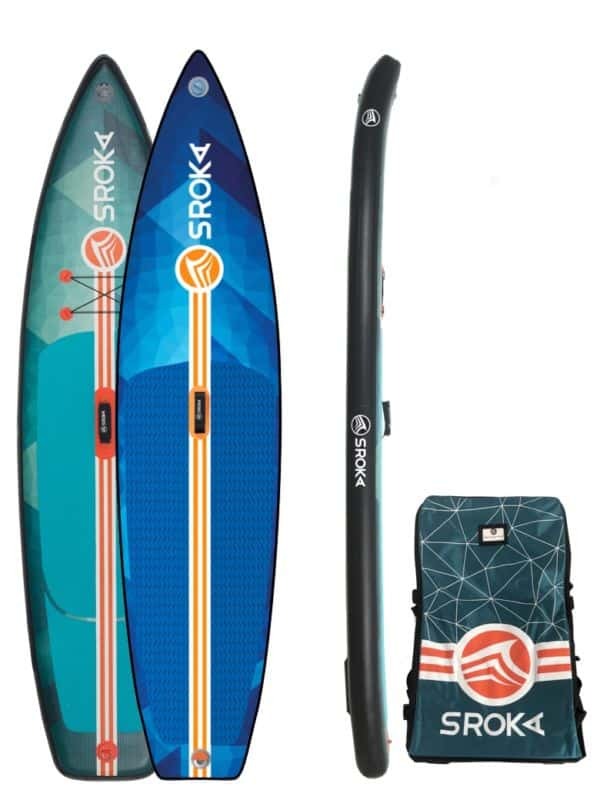 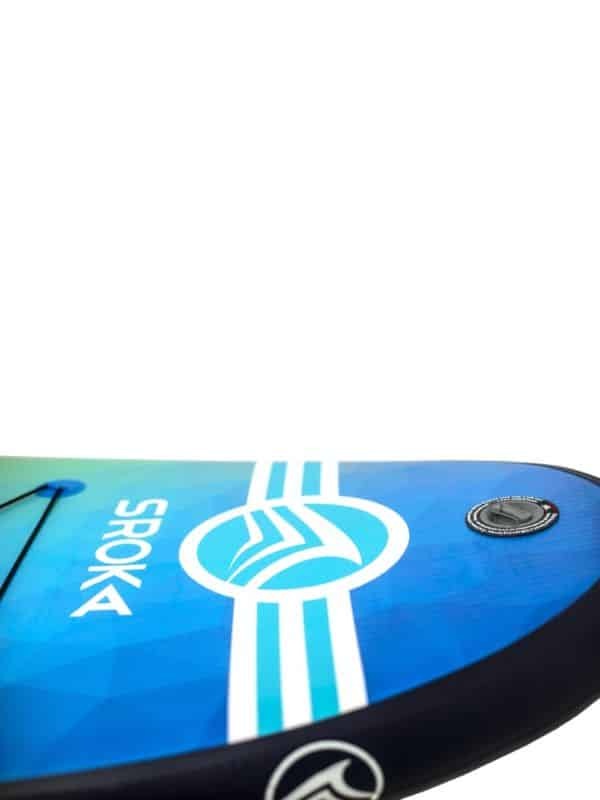 Are you looking for a single Sup SROKA board for the whole family? 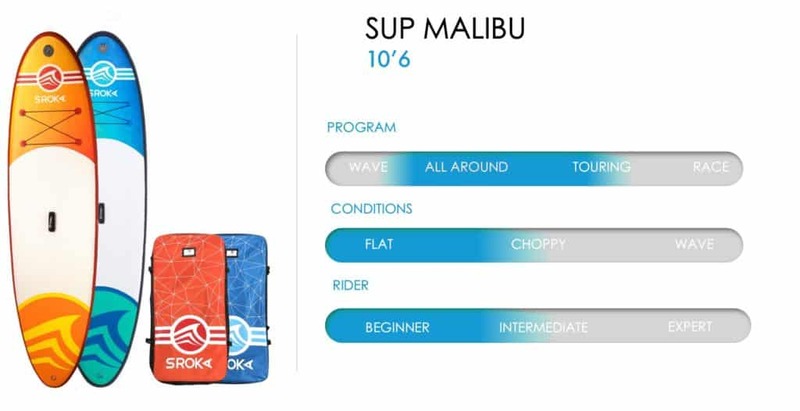 We recommend the 10’6 Malibu. 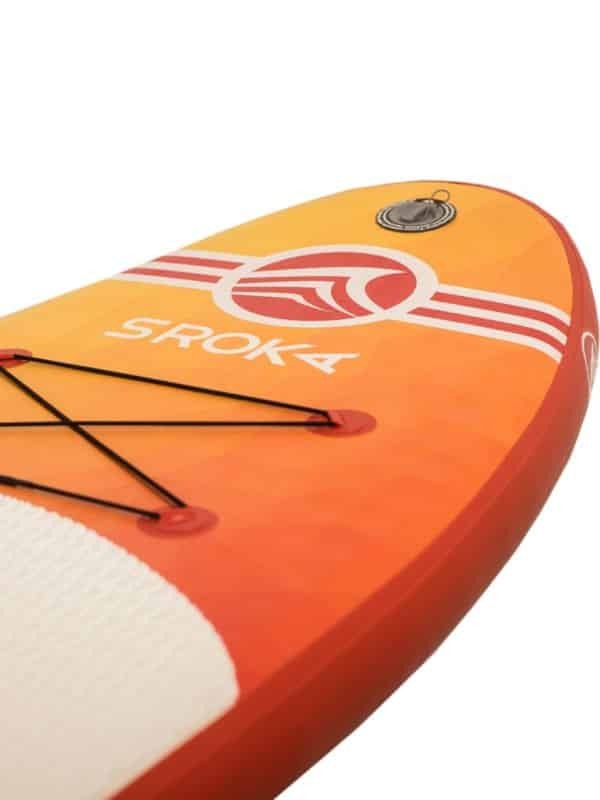 It is the most popular paddle in our range because it is a SUP perfectly adapted to the whole family. 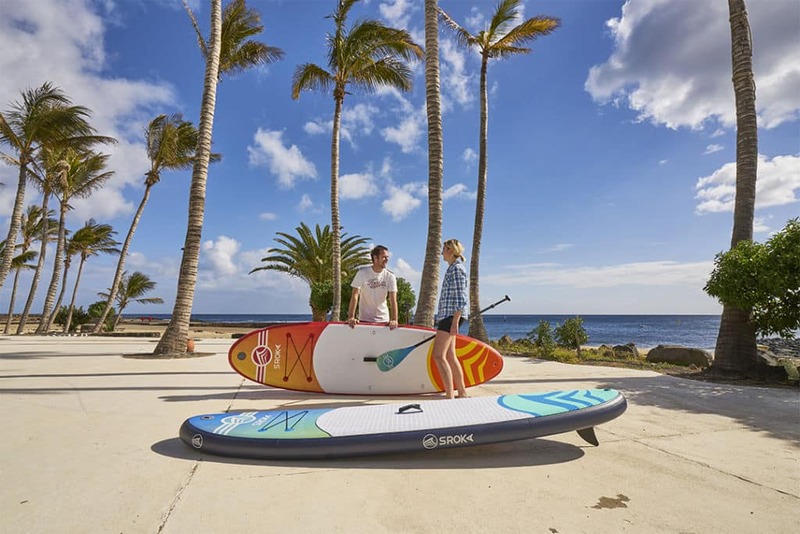 Due to its stability, solidity, durability and versatility, this Malibu 10’6 Fusion inflatable paddle has made our reputation with all our customers. 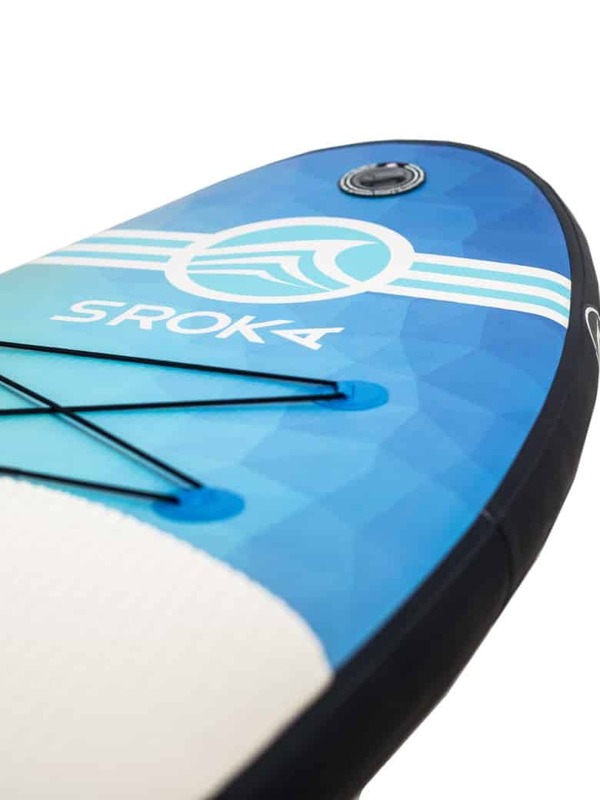 Its 15cm (6”) thickness makes the board large enough to support the weight of an adult and a child while maintaining maximum rigidity. 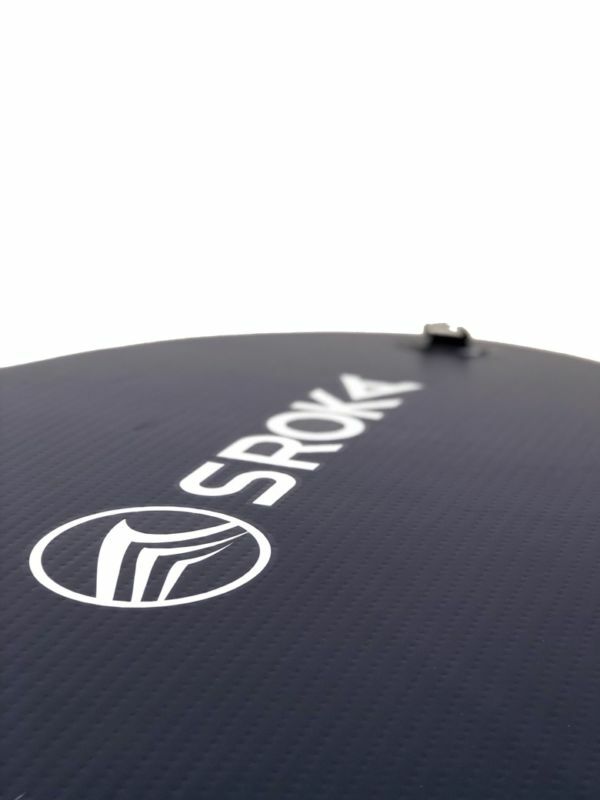 Its width of 82 cm (32”) will allows you to sail with the greatest stability. 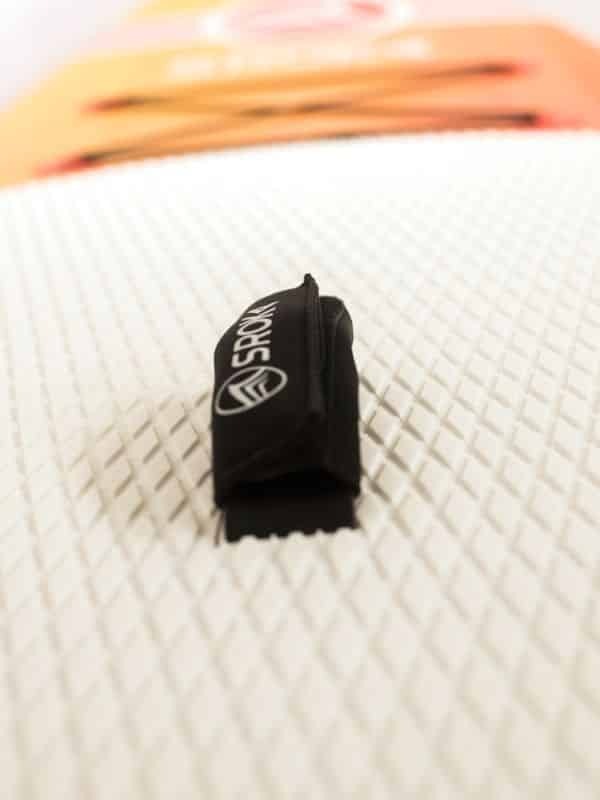 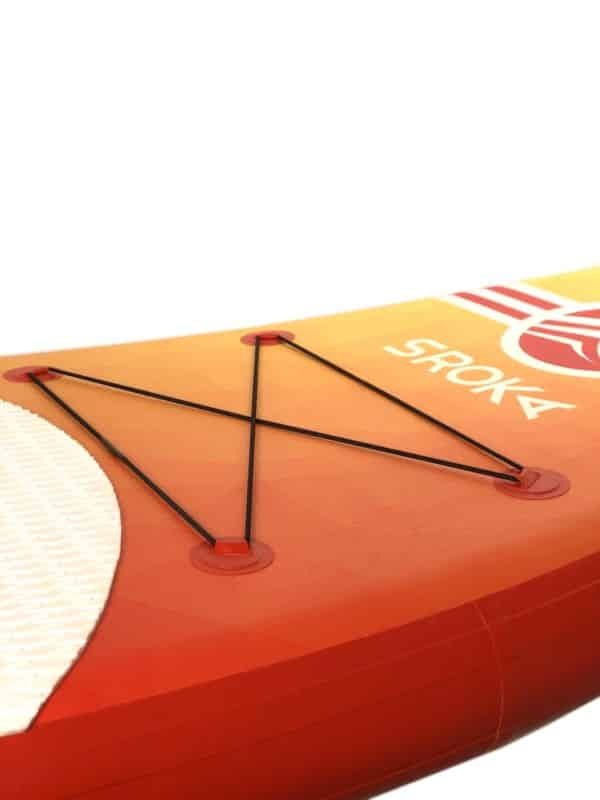 The raised eva pads are very comfortable under the feet which allows a very good grip for all manoeuvres. 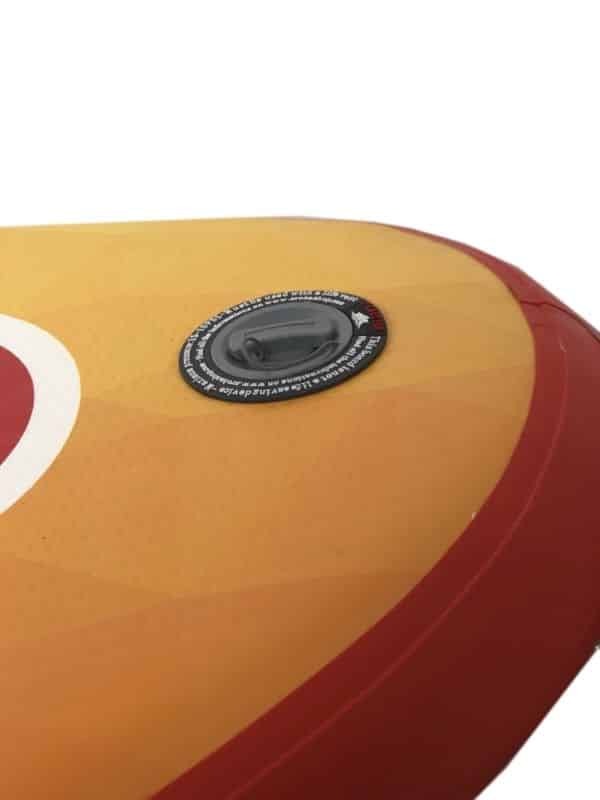 Its atypical look and quality of finish will not leave you indifferent. 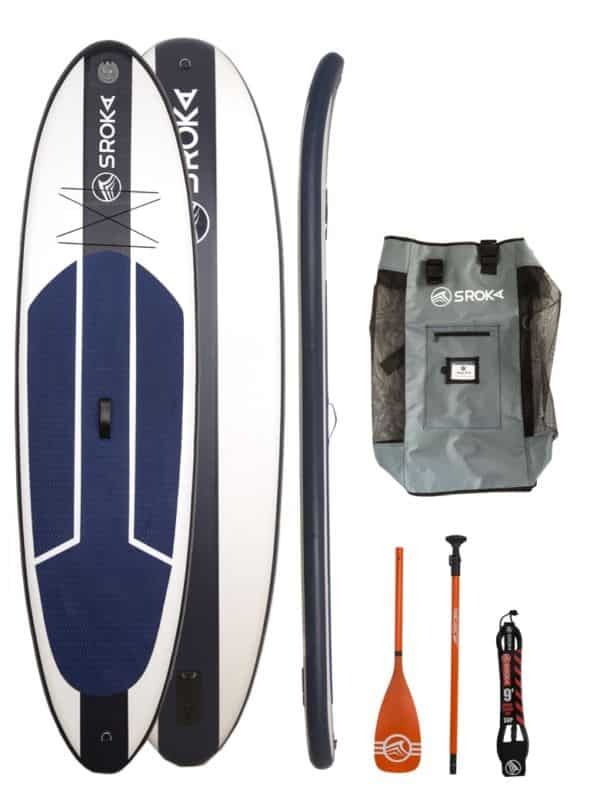 Its deck net will allow you to hang the waterproof bag offered with this paddle. 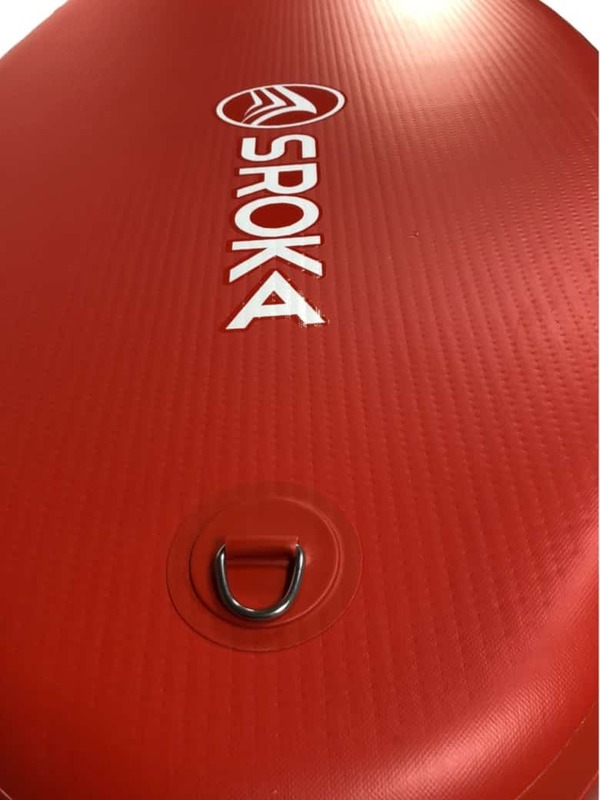 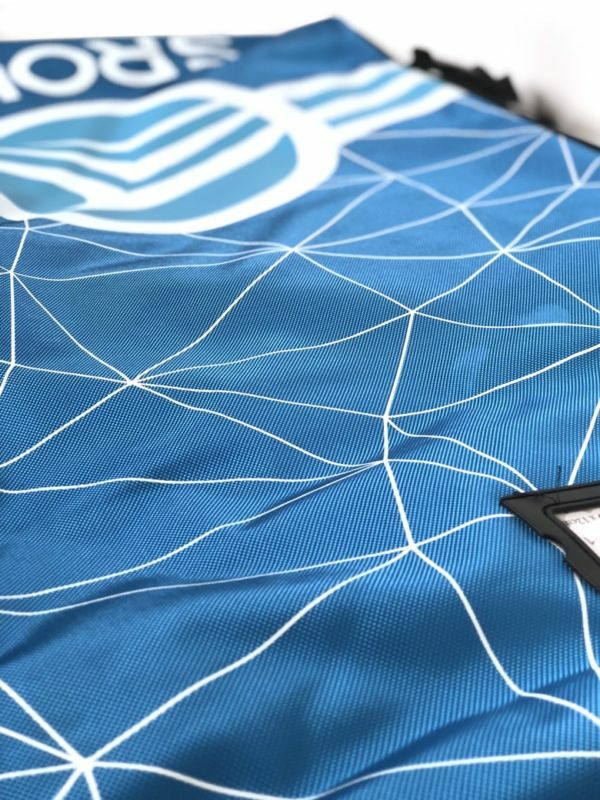 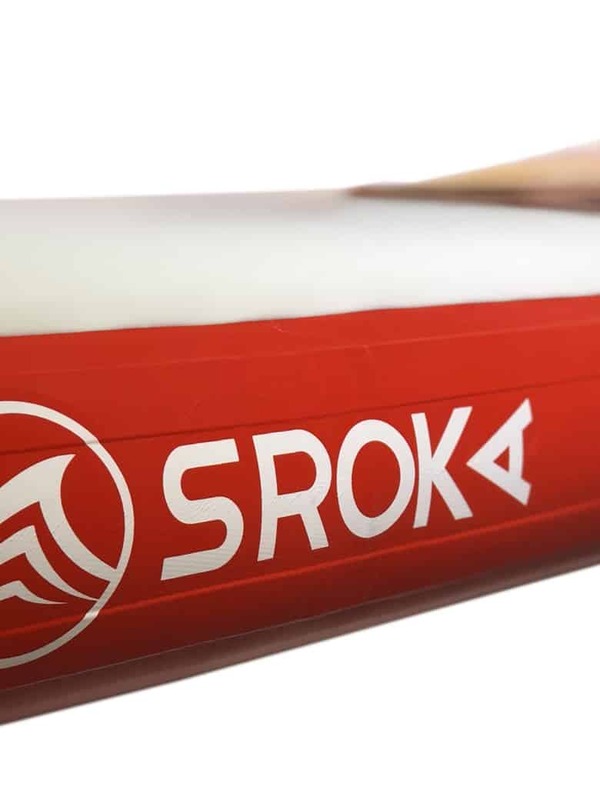 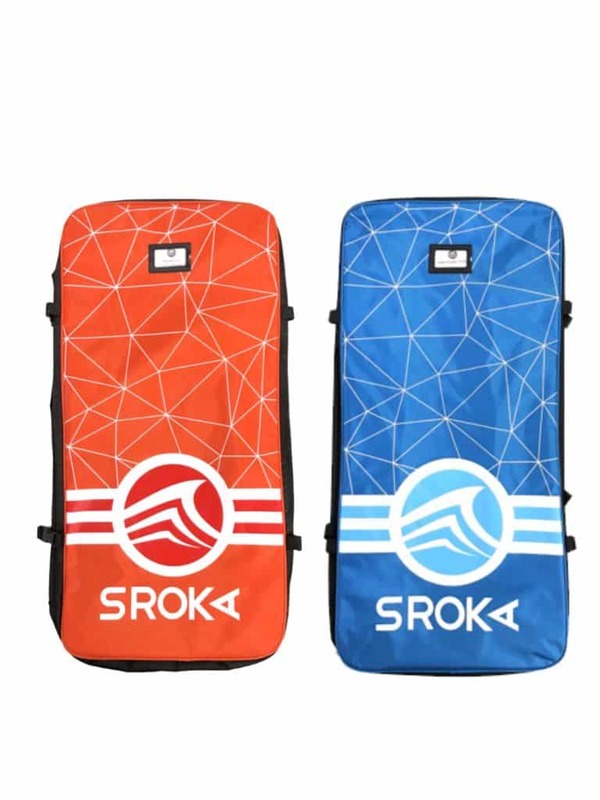 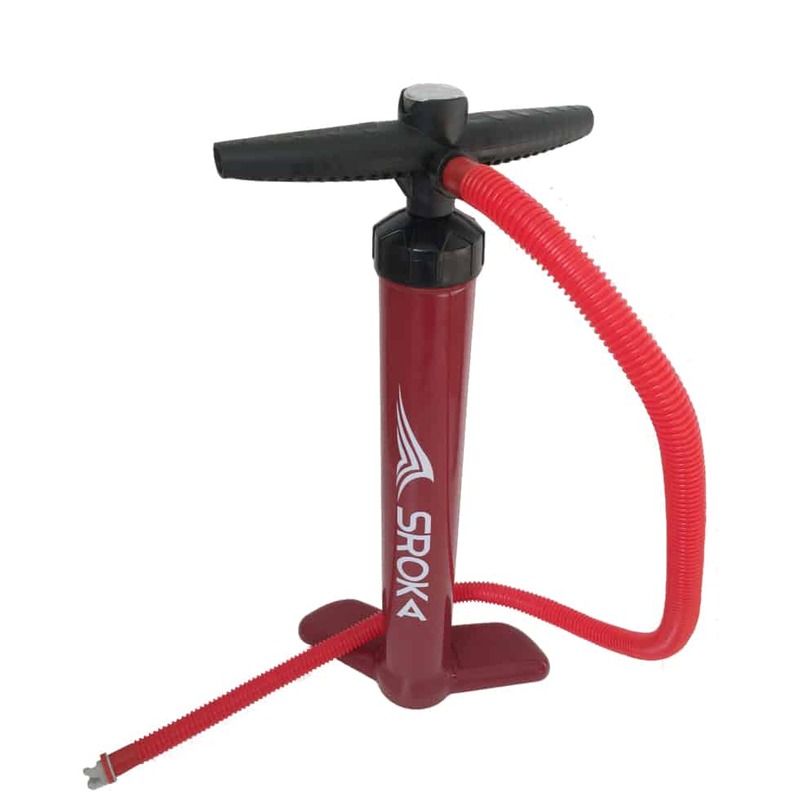 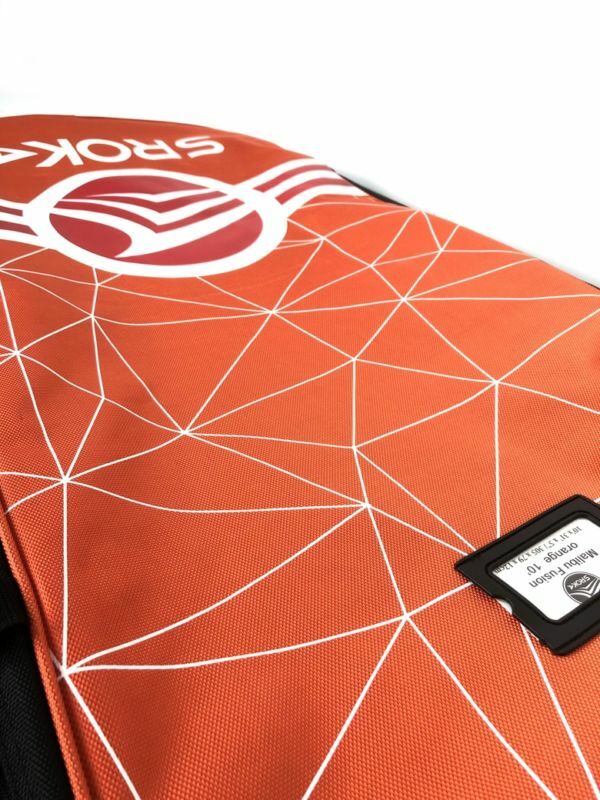 The deflated SUP can be easily stored in the SROKA transport bag. 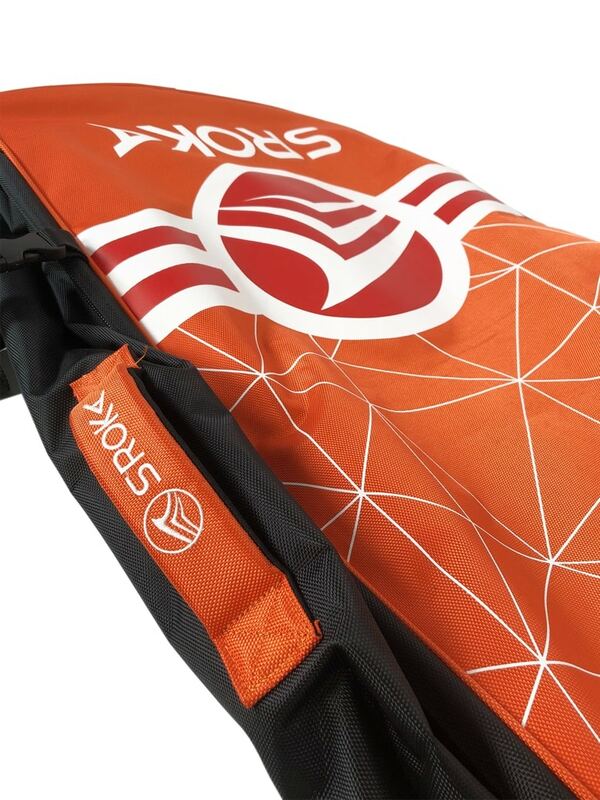 The quality of the bag and its comfort will make you forget that you are carrying a paddle. 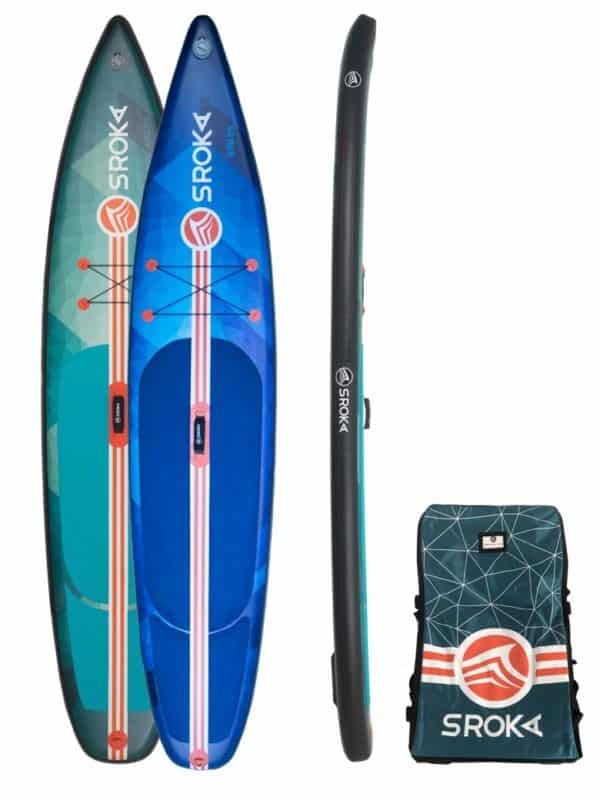 This Sup Malibu 10’6 fusion exists in two colors: blue or orange. 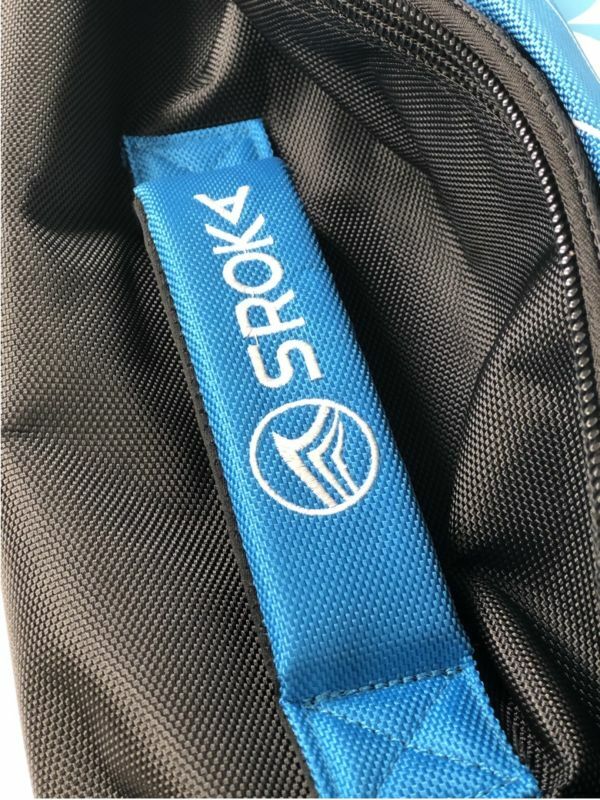 It’s up to you to choose to go on an adventure! 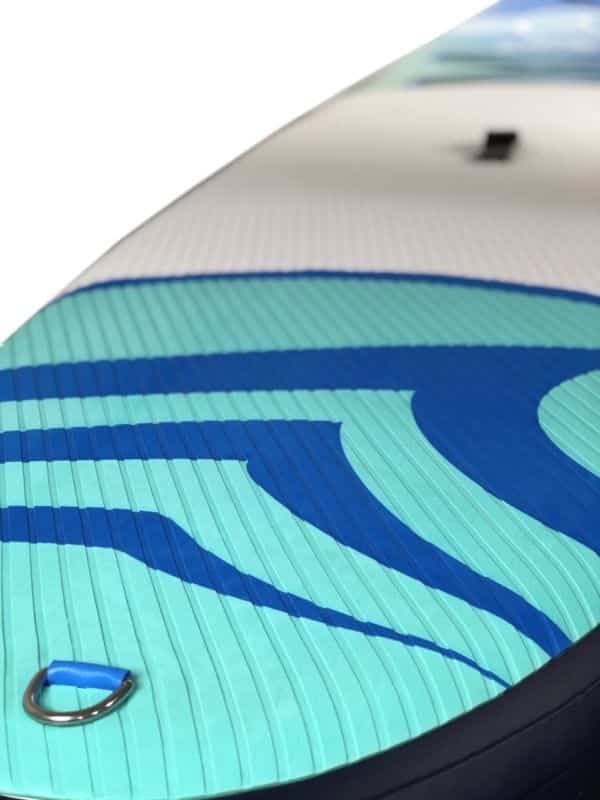 This Malibu 10’6 inflatable paddle provides the best compromise between stability and glide. 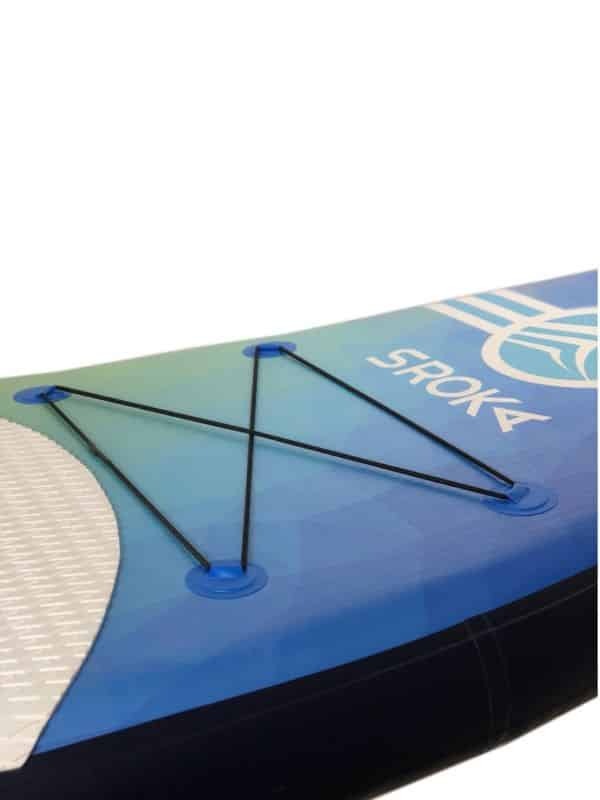 Its weight of 9,5 kg is the right compromise to have fun and to obtain an unbeatable glide. OUTLINE : 32″ of width in the middle of the paddle maximise the stability.